In Portugal it is now possible to obtain the golden visa through a reduced investment of just €350,000. To qualify, investors will need to purchase real estate which is over 30 years old and requires renovation work. Created in 2015, this program aims to rejuvenate areas of Portugal’s capital city yet maintaining the original appearance and architectural style of Lisbon’s historic buildings. Whilst the choice of such projects is more limited than those at €500,000, La Vida are able to offer a number of excellent options which tick all the right boxes to qualify. Projects need to be approved as a 65-A (d) category building and it is crucial to ensure the right project and legal advice is obtained before embarking on such investment. It is not quite as simple as just purchasing an old property and undertaking some light DIY as some may think. Renovation contracts and building licenses need to be in place before any Golden Visa application can be submitted. This would be a logistical nightmare for international investors to try and organise themselves from overseas. La Vida have partnered with an expert developer who will take care of and oversee the whole renovation contract on behalf of the buyer. La Vida has experience of many applications for the €350,000 reduced initiative from several successful project’s. Please contact us for more details on our real estate investments. 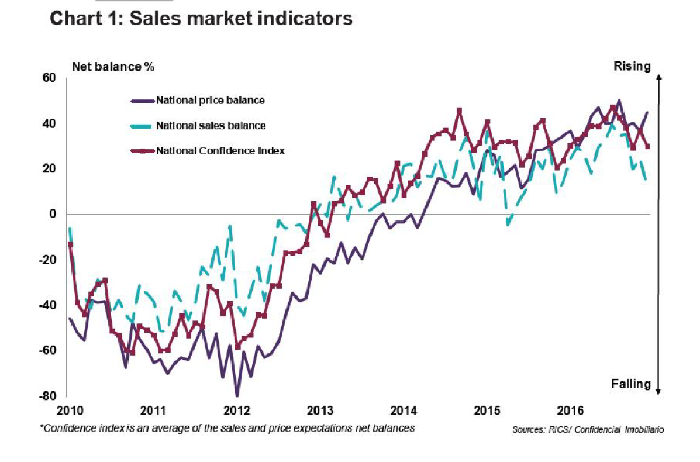 The most recent property price index report for August 2017, published by RICS, is showing very promising signs for the Portuguese market. House prices have been projected to increase by 5% per annum for the following five year period which is extremely exciting news for Golden visa investors. August’s figures have grown for both house price increases and new sales enquiries, compared to those published in June 2017. The sales predictions for the coming three months ahead has also risen which aligns well with La Vida’s personal forecast as the Autumn period always proves to be one of our busiest quarters for new investors buying in Portugal. There is a high demand yet a low of supply of property (particularly in Lisbon) which is underpinning the prices increases. The lettings market is also being strongly influenced by this and rents remain on an upwards path with a steady rise of tenant enquires. It is estimated that rentals will also continue to grow over the coming quarter. This is very positive news for prospective landlords who are looking to invest for rental return. Despite the shortage of real estate currently on the market, La Vida have an excellent choice of properties to offer, with a large selection of options in Lisbon, Porto, the Silver Coast and the Algarve. In other areas, unemployment rates have recently decreased to just 9.4% which is the lowest it has been since the 2008 recession. This is yet another positive reflection of how well the economy in Portugal is currently performing.As one of the market leading consultancies specializing in Investor visa’s, La Vida have the ability to assist investors with both the real estate purchase and the legal work which is involved in obtaining a Portuguese Golden Visa. To speak with one of our expert consultant, please do not hesitate to contact us. With popular cities such as Lisbon and Porto usually the main focus for international investors, it’s no surprise that some of Portugal’s hidden gems are often getting overlooked. The Silver coast of Portugal is one of them. Just 35 minutes outside of Lisbon, the Silver Coast region is an outstanding area of protected natural beauty with stunning landscapes, crystal clear waters and golden sandy beaches all along the coastline. The region is home to a number of charming traditional Portuguese towns as well as a 5* multi award winning Golf and Beach Resort with a number of luxury properties on offer attracting numerous high profile owners and celebrities. Situated between two of the most popular Golf resorts in the region you will also find historic town of Lourinha where Jurassic dinosaur remains were recently discovered. Plans for a new Jurassic amusement park are set to boost tourism in the region with a prediction of an extra 200,000 visitors each year, which is a great prospect for those looking to generate a rental return on property in this region. La Vida have a number of different properties to offer along the Silver Coast and a large number of these are offering a guaranteed rental return of 5% per annum for up to 3 years. Also included within this offer is up to 6 months of personal usage for the owner each year, making this an excellent option for those looking for both a personal holiday home and a rental property. Price per square meter in this location is also extremely competitive at just €2,500 per square metre compared to central Lisbon where the average price per square metre is from €5,000 upwards. Just another factor why savvy investors should be considering the Silver Coast. Over the last few weeks La Vida have hosted a number of informative webinars for our clients to learn more about the various residency and citizenship programmes that we offer. Today’s webinar was based solely on the Portuguese Golden visa scheme and was hugely successful with over 90 clients worldwide attending. The webinar covered many points about the scheme, including the requirements, the step by step process, real estate options and a Q & A section at the end. If you missed the live session it is possible to catch up and listen to the recording online. 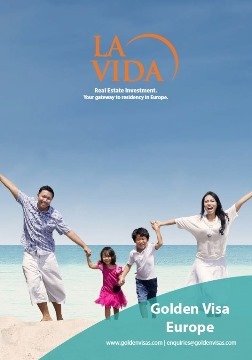 La Vida can assist you from A to Z with the Golden visa process and if this is something you are considering, we would be delighted to hear from you. Since the release of the Golden Visa programme in October 2012, the real estate market has shown significant signs of growth. According to a recent report published by Portugal’s National Institution of statistics, 2016 saw a house price rise of 7.6% in Q3 of 2016 compared to the previous year. There is no doubt that the influx of international investors in Portugal, driven by the Golden visa scheme, has been a major contributing factor to these price increases. During the period of July 2016 – September 2016 a total of 35,535 property transactions took place at a value of €3.6 billion! This was a 15.8% increase compared to the same period in the previous year. Since the European recession back in 2012/2013, Portugal has seen a steady price increase trend, with an average rise of 4-5% per annum since Q1 of 2013. That’s nearly a 14% price increase overall to date. Portugal’s Golden Visa programme has played a big part in boosting the overall economy for the country and there is no sign of the surge slowing down as the scheme remains a firm favourite with those looking for a flexible residency scheme in Europe. To read more on Portugal Golden Visa programme please see here. To view our extensive property portfolio, please click here. Portugal’s Golden Visa Scheme -Best Year to Date. 2016 looks set to have the highest ever number of approved Golden Visa applications, running at over 2000 investors per annum. Last year we saw a drop in numbers due to the delays in SEF, however a new fast track procedure which SEF implemented earlier this year has drastically improved the number of approved applications. The Government also introduced a reduced Golden Visa option this year, at €350,000 for renovation projects. Certain terms and conditions apply for this route and options at this limit are taking time to produce. These type of projects can be complicated and need to be fully managed, but it’s a great alternative for investors who are not able to invest at the €500,000 limit. La Vida has sourced some very interesting options for clients this year and we plan to see more renovation projects come to the market in 2017. The property market in Portugal has seen significant price rises over the last three years due to Golden Visa fuelling growth and demand. Developers are reluctant to offer discounts and the best properties are sold long before completion. We have recently updated our Real Estate portfolio with a number of new options which we welcome you to review. We have dealt with many clients for real estate investment for the Portugal Golden Visa and other country programs too, such as Spain and Cyprus. These investment visa programs are very different to traditional immigration schemes. They allow clients who have the financial resources to achieve far more flexibility with their travel and tax arrangements. They do not require applicants to move countries but they give the security and insurance of residence, should it be needed at any time. Please see our Top 10 Reasons Guide for the Golden Visa on our main website. Follow the link to read more.